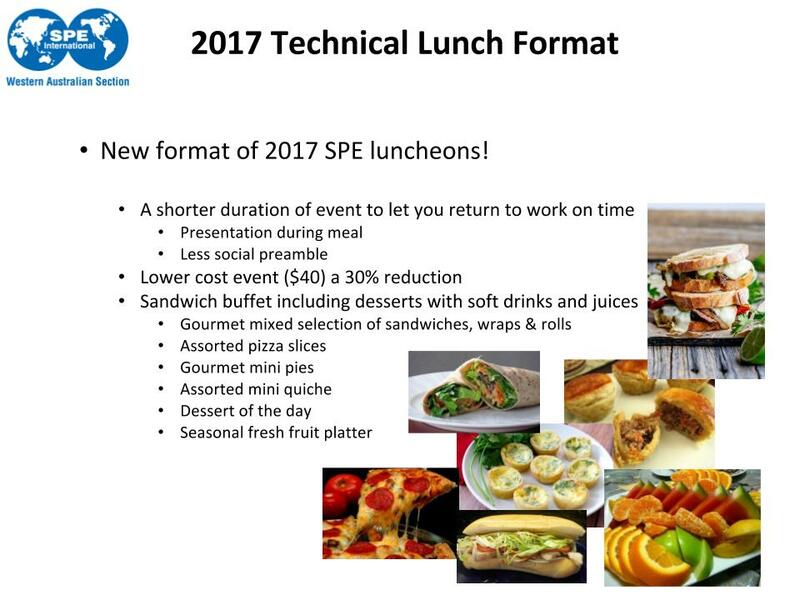 The SPE Western Australian Section has been working on a new format luncheon to meet the needs of our members. Tickets to the monthly lunch will now be $40 for SPE members (earlybird price). We hope this enables more members to attend our events where they can meet other like-minded professionals. The luncheons will still be held at the Parmelia Hilton Perth and cover topics relevant to those in the Upstream O&G industry. Please see the Events pages of this website for our latest schedule. Hope to see you soon!